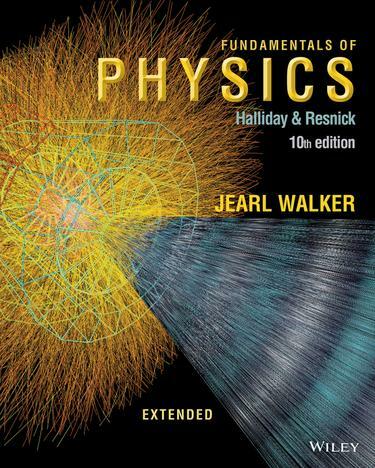 The 10th edition of Halliday's Fundamentals of Physics continues to build on the new design which was introduced in the 9th edition. The content within this new edition is widely accepted as clear, correct, and complete. Concept Modules and Learning Objectives. Chapters were restructured into modules based on a primary concept. Each module begins with learning objectives (the skills and learning points that should be gathered in reading the module). Rewritten chapters. Based on his active teaching, Jearl Walker has identified material that students have been particularly challenged by (eg Gauss’ law and electric potential) and has rewritten this information so that the presentations are now smoother and more direct to the key points. Some other changes include expanded coverage of the Schrödinger equation including reflection of matter waves from a step potential and a decoupling of the discussion of the Bohr atom from the Schrödinger solution for the hydrogen atom. New Sample Problems and Homework Question and Problems. 16 new sample problems, 350 problems and 50 questions some of which come from prior editions back by popular demand.